So you need to hire a drone pilot? When you get off a plane at the airport and need to get home, you have a couple of options, first option is to go with a guy that quietly poached you as you were waiting for your bags and offering you $15 cash for a ride home. The second option is getting to the taxi rank. Yes you may pay slightly more going with an authorised Australian taxi company. But you know the driver holds a current licence, and the company he works for is governed, has been put through their tests and have all the public liability insurances in place should something go wrong. In a similar context the drone services industry is the same. There is nothing stopping you from hiring the cheap and cheery operator, no doubt you may get the images you are after as a good deal. However the comfort you will get when hiring a professional operator who has had years of experience and not to mention full public liability and CASA certification is invaluable in any situation. Sub 2Kg: Anyone with a drone weighing 2kgs or less can now operate for commercial gain. Limitations include: No public liability insurance, unable to fly at night, within 5kms of an airfield, or over populous areas and within 30m of the public and more. Read more on the new classification and limitations. RePL: ‘Remote Pilot’- indicates he/she has gone through a intermediate CASA certification and practical assessment to fly for commercial gain. Their operations are limited to a set of operation outlines listed in what is called an ‘Operational Library & Manuals’ held by a Chief Pilot. The Chief pilot will hold ultimate responsibility for every operation. RePL operators are certified under CASA and generally have their own insurance and public liability cover. ReOC: ‘Remote Operator Certificate’- This is essentially the highest drone certification you can get through CASA. It basically means the operator is a Chief Pilot in the organisation and can employ RePL to conduct work under their operations outlined in the companies manuals.They are licensed under CASA and will have their own insurance and public liability cover for all operations in the manual. Extra exemptions can be applied to CASA such as flying within 5kms of a controlled aerodrome. If you are looking at hiring a drone pilot, here are 5 thing to consider before hiring someone. Don’t make your decision on how attractive their pitch is. It would be unwise of you to consider a professional drone pilot simply because you saw a nice edit they made on a holiday resort. The pilot must have one of the following certifications (as listed above) under 2kg, RePL, ReOC. Fully insured. Public Liability Insurance for drones are ONLY available to certified operators (RePL and ReOC holders). Important to note that drones have the potential to cause extensive damage to property, structures, passenger planes and especially bodily harm if a software or pilot error was to occur. A drone operator having public liability insurance is absolutely vital. Showing you their best work or seeing them fly in public is often not enough. Other skills such as knowing how to operate safely in public areas, manage clients and stakeholders on site, being experienced in cinematography, photography and editing should all form part of a productive drone operator’s service. Some operators may only have a background in flying and not photography, others the other way around. It always important to hear about their experience and clients they have worked with. Job Safety Assessments in place. Prior to any operation, preparing a JSA is part of the drone regulations for each and every flight. Always ask if this is is done prior to their operations and for peace of mind you can ask for a copy of this. Is the drone operation over a populated residential area, the city or in a national park? Always ask the operator to check whether the area is safe to fly in. It is up to the operator to get local clearances, park permits and other exemptions to fly. 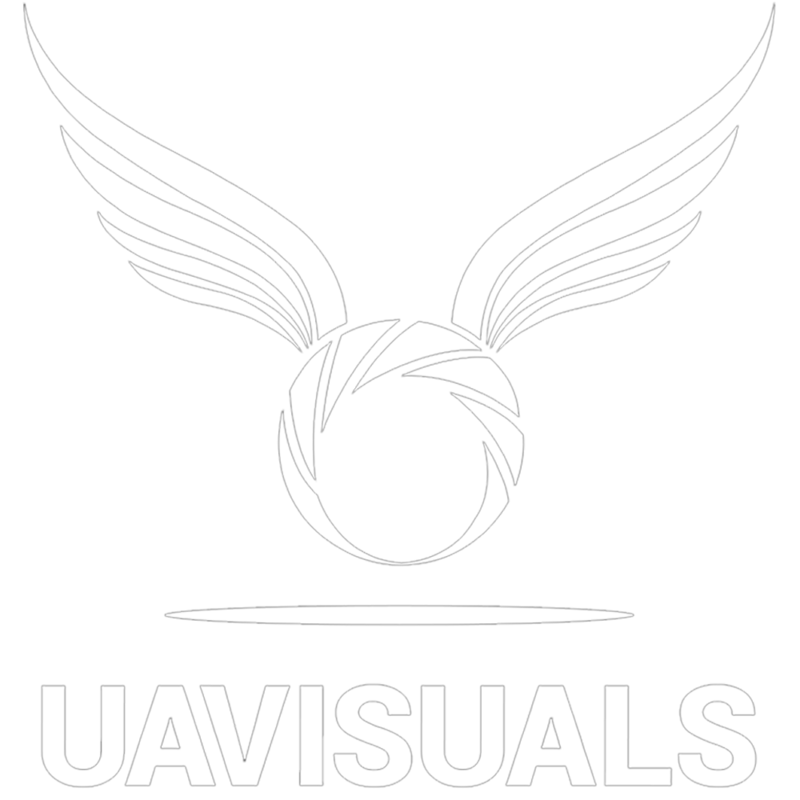 UAVisuals are fully licensed ReOC holders with a network of highly trained and fully insured RePL operators around Australia. We have the experience and history to bring you unprecedented quality imagery to suit your client’s needs both in creative and industrial applications. For more information on our services don’t hesitate to contact us today.